Even before I had bought the original Kindle in 2007 (this was pre-iPad days if you’ll recall), I had been a longtime fan of Jeff Bezos and Amazon.com. Back in the 1990’s I bought some Amazon.com stock @ $11/share only to sell it when advised by an investment manager friend of mine that it was a not a company that would make it over the long haul. We all know how that turned out. The lesson I learned there was when you have a good reason(s) to invest in a company that’s more likely to be a winning investment than the any outside advice. Something that Warren Buffet has espoused for years. Amazon.com’s investment in building warehouses back in the 1990’s all over the U.S. not just so it could ship books, (which it ships fewer and fewer each year), but so it could ship merchandise from other companies who did not have the infrastructure to store and ship goods that can be delivered quickly and inexpensively (i.e. Amazon Prime). In 2007 the Amazon Kindle 1.0 was a breakthrough in e-Readers. Today, in my opinion, the Kindle Fire has ended up being sort of like a Blackberry. It’s functional, totally not cool, convenient, and does many of the things most tablets do, but it’s definitively not an iPad. In fact it’s not even a Samsung Galaxy Tablet. When I bought the original Kindle (still have it but don’t use it – I’m thinking Smithsonian someday), the ability to buy and read e-books at a low cost was so cool and convenient. Even after I sent back my original Kindle for the second time I supported the platform. Being all in on Amazon.com, when the Kindle Fire came out in November of 2011 and I was among the first in line to get the ‘much improved’ interface. And indeed it was light years better than the original Kindle. Yet at the time the iPad2 had already been released and it was my hope that the Kindle Fire would negate the need to purchase an iPad. That idea did not last long. For the holidays in 2011 I bought an iPad2 for my wife. The iPad3 had been released, but we did not need the additional features as the iPad2 was graphically so superior to the Kindle Fire already. 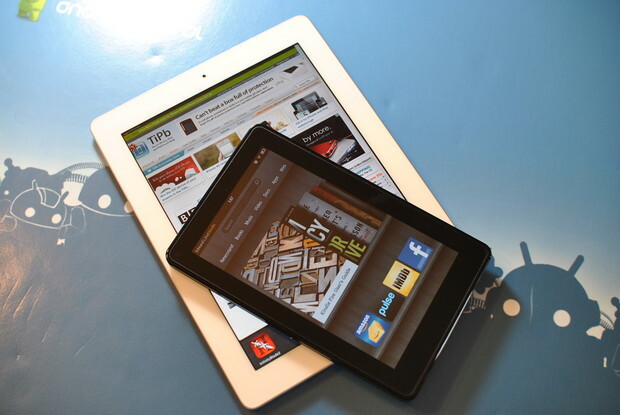 Pure and simple, the iPad is far superior to the Amazon Kindle in almost every way. In fact, I can read my Kindle books on the iPad sharing the interface from my Amazon account. I can even watch movies from my free Amazon Prime account on the iPad. Yes, I do realize this is hardly a news flash for many people. But I also realize that Mr. Bezos and Amazon.com are getting off way too easy here. Is the Kindle Fire (even with 3G) the best that Amazon.com can do? The answer is and better be, no! Not for a company and a leader that has gotten it right so many times. What is taking so long? I’ve heard noise about a new operating system and big changes for the Amazon Kindle. My advice is that Amazon.com better pick up the pace here as the ground being ceded may never be reclaimed. And it just might be an Achilles heel for Amazon. I know I will hear from the Apple acolytes. But I’d also like to hear from the Kindle users on what they think. This entry was posted in Best business practices, Community, Customer Experiences, Innovation, Leadership, Mobile Communication, Technology and tagged Amazon Achilles heel, Amazon Kindle, Amazon Prime, Apple, iPad, iPad2, iPad3, Jeff Bezos, Kindle Fire, Warren Buffet. Bookmark the permalink.